A repetiteur can be a fulfilling and immensely satisfying job. Repetiteur, accompanist and teacher Kevin Thraves has enjoyed a highly successful career, and here he writes an illuminating article on the prerequisites of this demanding role. As Head of Music Staff in the School of Vocal Studies and Opera at the Royal Northern College of Music in Manchester, one of my main responsibilities is to oversee and tutor the postgraduate repetiteur students. Many concert pianists, accompanists and piano teachers often do not know what the job of an operatic repetiteur actually entails. Even regular audience members who attend the opera might not fully appreciate what the job of a repetiteur actually involves. There is little information and practical advice available regarding the training and the skills required to work as a repetiteur, and many musicians do not fully realise that the role of a repetiteur is one of the most varied, enjoyable and gratifying areas of all musical activity. A repetiteur is a highly skilled pianist whose main work generally takes place in a rehearsal studio of an opera house. Requiring a broad range of performance and musicianship skills, an operatic repetiteur not only needs to have a solid and confident keyboard technique (enabling them to play the most complicated operatic scores), but they also require a good working knowledge and have the confidence to coach singers in a variety of languages – English, Italian, German and French (and sometimes Russian and Czech). A repetiteur is required to offer historically correct instruction in musical style during the rehearsal or vocal coaching process, correct musical and linguistic inaccuracies and often has to assist the conductor by taking notes on their behalf during the stage and orchestra rehearsals. Repetiteurs are often required to play other keyboard instruments in rehearsals and performances, such as the harpsichord, fortepiano or celeste. They also need excellent sight-reading skills, and, more importantly, the skill to be able to learn music quickly with a good understanding of the full orchestral score they are required to play. It is not a career for concert pianists who are perhaps interested in public recognition and fame, but it is one of the most rewarding for those pianists who enjoy being involved in collaborative work with a dynamic and creative team, often working alongside more than one hundred people at a time. Repetiteurs need robust teaching principles and the skills to impart the necessary musical coaching, training and directional aspects of their job. They also need agreeable communication and interpersonal skills, patience, and the ability to stay calm in pressured environments. Is work experience or learning on the job the best kind of training for a young repetiteur? It can certainly be a very good way of getting a real and practical insight into the working life of a repetiteur, but I would encourage anyone who wishes to work professionally in this field to undertake a specific period of study on a dedicated repetiteur course, such as those on offer at many of the UK conservatoires. Although most of the UK conservatoires offer a postgraduate course in repetiteur studies, it seems that often the course information is not easily accessed and, in some cases, is not available at all. Many of the courses available do not appear to be entirely comprehensive and it seems that many repetiteur students are often left to their own devices to develop and enhance their skills without clear guidance. Ideally, a good repetiteur course or training programme should contain the following elements (assuming the pianist is already at an advanced level): regular keyboard lessons (piano/repetiteur tuition with some dedicated time and tuition spent discovering the skills required to play the harpsichord and fortepiano); regular Italian, German and French language lessons (with the emphasis on comprehension, correct pronunciation and a clear understanding of the rules of singing in these languages); the opportunity to study, adapt and play a wide variety of operatic scores whilst following a conductor; mentored vocal coaching (one to one and ensemble); the experience of playing for opera rehearsals in a studio as well as in an orchestra pit; some involvement in orchestral keyboard playing and scheduled dedicated conducting tuition. The programme of study should be a very busy and full timetable. A course containing all of these elements would certainly give a talented young repetiteur the initial skills required and every opportunity to succeed in eventually securing employment in this fulfilling profession. It is an extremely rewarding career. The variety of skills required make for an interesting time in the rehearsal room and opera theatre. The interaction between repetiteur, conductor, singers, directors and orchestras is nothing short of exhilarating. Kevin Thraves (pictured above) was born in Cheltenham and studied as an undergraduate pianist at the Royal College of Music and as a postgraduate accompanist at the Royal Northern College of Music. 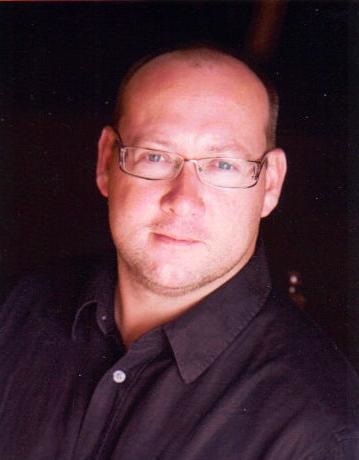 He has worked as a repetiteur for many of the main UK opera companies including Scottish Opera, Welsh National Opera, English National Opera and Opera North. Kevin has worked with many of the UK’s leading orchestras including the Hallé, the BBC Concert Orchestra – during the Proms season at the Royal Albert Hall, the BBC Philharmonic, and the Manchester Camerata. Kevin has a busy and varied recital career which has led to performances at many of the leading international music festivals. He is currently the musical director and repetiteur for the Mananan International Opera Festival. Kevin is the Head of Music Staff in the School of Vocal Studies and Opera at the RNCM where he has worked on many of the award-winning operas. The Royal Northern College of Music in Manchester is pleased to offer an exciting bespoke postgraduate course in Repetiteur Studies attached to the School of Vocal Studies and Opera. For more information click here.